Rita’s Free Italian Ice Day - 3/20/2018 only! Small Italian Ice. Open 12-9 local time. Celebrating 26 years of Celebrating the first day of Spring. 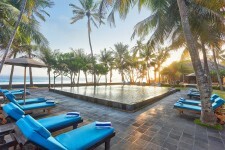 Valid one per person. At participating locations only. 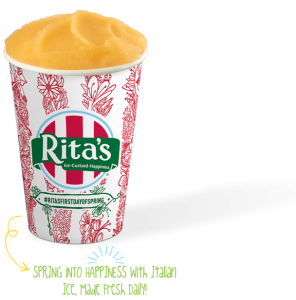 All Rita's locations, with the exception of resort locations, mobile units, and special venues, such as; stadium and theme parks, are required to participate in the First Day of Spring free Italian ice giveaway. Please check your local store's website to ensure that they will be open for the First Day of Spring Celebration.